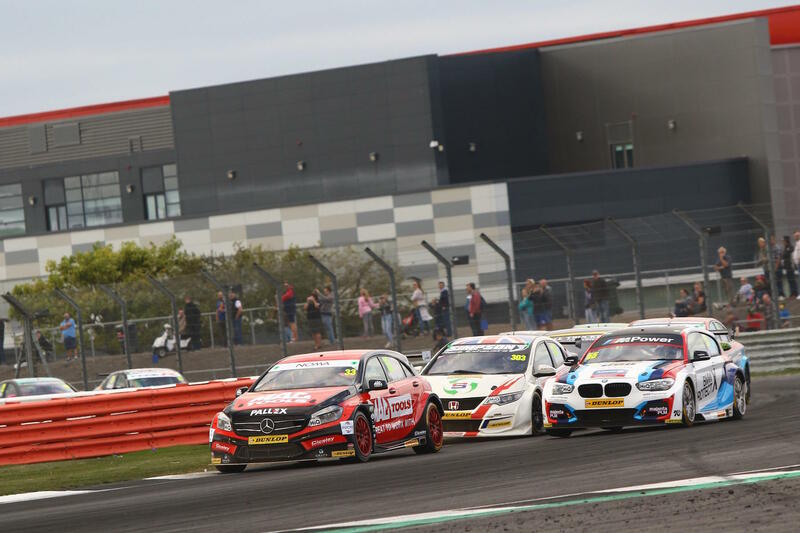 BTCC 2018 | What happened last time out at Silverstone? Ahead of the final rounds of the 2018 British Touring Car Championship, ESM looks back to what happened at Silverstone. 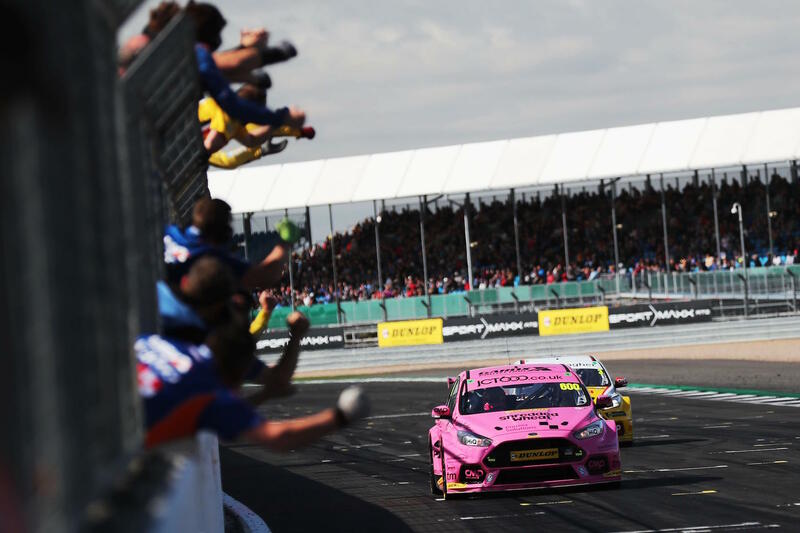 Two new race winners at Silverstone increased the BTCC record of winners in a season to an all-time high of 16. 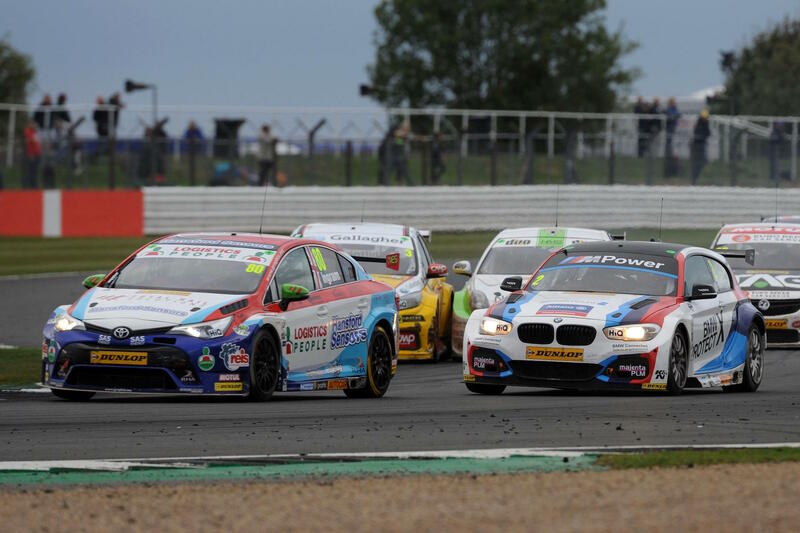 However, wins for Sam Tordoff and Aiden Moffat were insignificant in terms of the championship, but Tom Ingram’s win helped him close the gap to Colin Turkington by the end of the penultimate weekend of racing to 34 points. Saturday saw a first Ford RS car pole position since 1990 as Tordoff produced the fastest time just ahead of Ricky Collard and Tom Chilton. Championship contenders qualified well down the pack with Turkington 18th, Ingram 19thand Ash Sutton 25th. Race one: Collard made a good start, but found himself with nowhere to go at the first corner and was forced wide as Tordoff retained the lead. After a couple of laps, the safety car was called for to rescue a beached Josh Cook, but Tordoff re-started the race well. On lap 10, Turkington was 12thand in a gaggle of cars, while Sutton had just taken Ingram for 18th. As Collard was taking fourth from Jack Goff on lap 11, there wasn’t such good fortune for his team mate, Andrew Jordan, who retired to the pits from third. 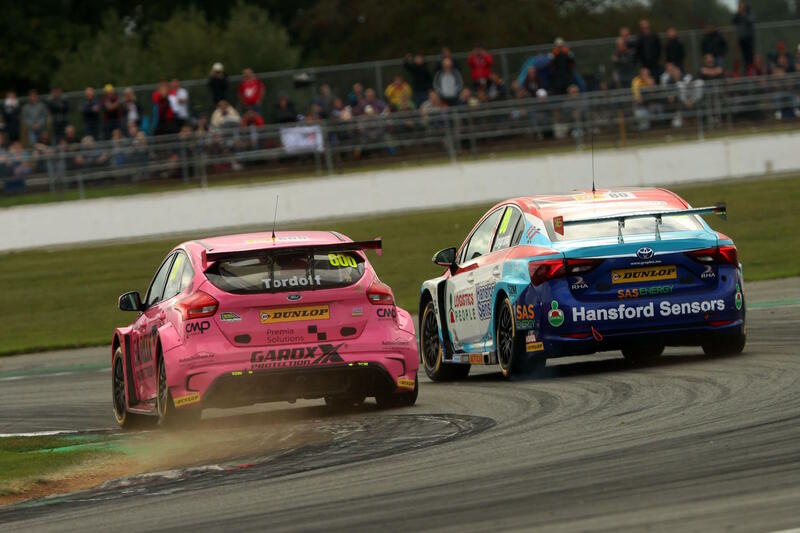 Meanwhile, Tordoff’s lead was starting to be reduced by Chilton and soon Chilton was pressuring Tordoff heavily for the win, but in the end the Motorbase pair were happy to come home with a 1-2 for the first time in a few years. Race two: There was drama before the race when Sutton’s car suffered a puncture floor from a tool when the car was put down for the out lap. Despite completing the green flag lap, Sutton pitted at the end of it for more repairs and therefore brought an end to his championship challenge. The top 3 got away well off the line and there was a fantastic two lap battle between Goff and Matt Simpson. Ingram, as expected, was making great progress and on lap 4 he managed to overtake Turkington on the outside line, while Adam Morgan and Simpson were challenging Collard for third. However, Ingram continued his charge and with a great cut back he was able to pass three cars at once, although he didn’t stop there. He continued his charge and was soon at the front of the pack and at the end he was followed across the finishing line by Morgan and Tordoff. Race three: Aiden Moffat was the lucky man to be drawn on pole on a grid that saw Ingram and Turkington line up together in seventh and eighth. 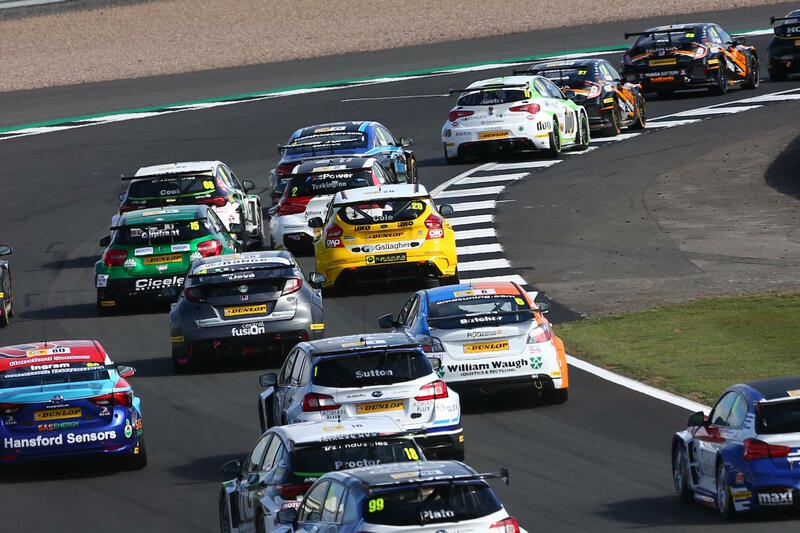 Second placed Goff was slow off the start line after a false start which saw Moffat and Simpson get away well, while Ingram was aggressive towards Turkington as he defended his position. On lap 3, Simpson went wide which slowed up various cars behind him and that helped Ingram to overtake the lot, again. Turkington meanwhile was unable to follow him through, but he did take sixth from Tordoff. Rob Austin was running well and both he and Turkington soon found themselves making another position as they both overtook Collard. Turkington’s progress was then hampered by a six lap safety car as Ollie Pidgley’s car took some recovering. Turkington finished the weekend with a 34 point gap to Ingram, although it was as high as 50 points after the opening race. With such a gap, it would seem unlikely that Ingram could now win the championship, but Ingram is no ordinary driver. At Brands Hatch GP last season, Ingram gained 17 points on Turkington, although Turkington still was the championship’s runner-up. Although Chilton still has a mathematical chance of winning the coveted crown, a gap of 64 points would need possibly the most exciting weekend of racing ever seen for him to win it. Ingram though, has been producing outstanding drive after outstanding drive this season and it is not beyond his capabilities to overturn the points difference. Turkington will qualify with full ballast on board and even though Ingram won’t be much lighter, he still will be lighter and it was seen at Silverstone that his car carries the weight well. The BMW of Turkington has been consistent throughout the season and it could be argued that it’s all he needs to be again at Brands Hatch, but there’s something different about this season. If Ingram’s all-out attack approach works, Turkington will need to produce at least one outstanding drive to secure the championship and as fans let’s hope this is in the final race. Previous Post BTCC 2018 | What happened last time out at Knockhill?